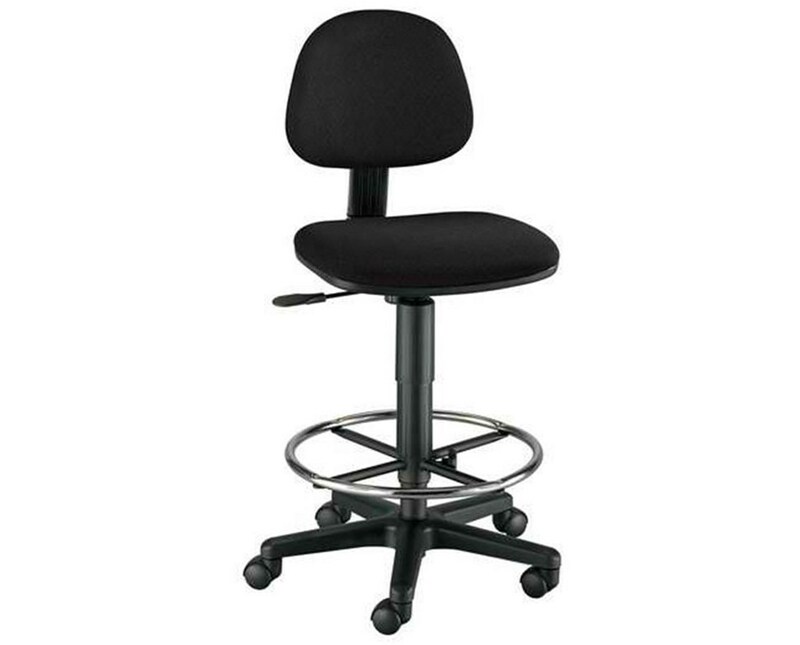 Adjustable drafting height 24" to 29"
The Alvin Budget Task Chair Drafting Height is a versatile and functional task chair. 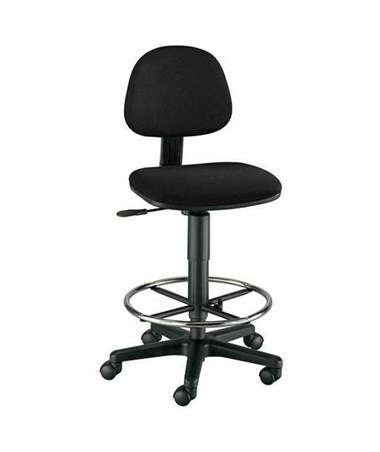 It features a pneumatic height control to allow easy adjustment of seat height. It comes with a height extension kit that provides additional height of 24 inches up to 29 inches. 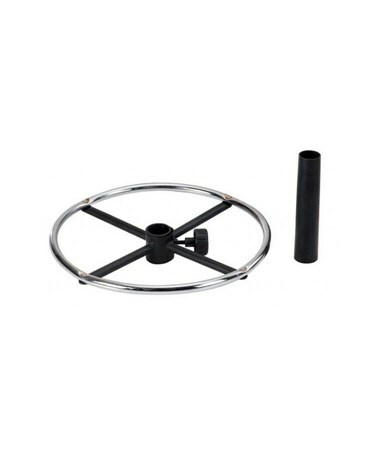 The kit contains an 18-inch diameter chrome foot ring and a tough cylindrical steel shaft that locks into the chair base. This affordable drafting height task chair is equipped with a 16"W x 12"L hinged backrest that is height- and depth-adjustable. It is supported by a sturdy 22-inch diameter reinforced nylon five-arm base for optimum stability. With a dual-wheel caster attached to each base arm, it offers total mobility and smooth gliding. The Alvin Budget Task Chair Drafting Height is durable and long-lasting. Its seat and back shells are both made of polypropylene material. Ideal for long hours of sitting, its 17"W x 16"L molded foam seat cushion is 2 ½-inch thick to maintain comfortable support. 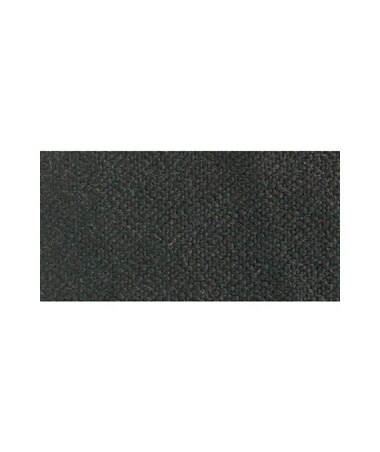 It has black fabric coverings.